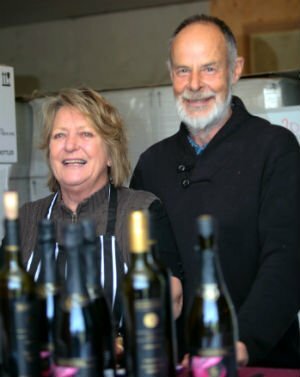 Husband and wife team Tony Dunn and Carol Bradley are award winning premium Shiraz producers since an acknowledged and outstanding first vintage launched in the November of 2001 by their Winemaker Rebecca Kennedy. The Braydun Hill vineyard is owned and worked by Tony and Carol both of whom studied viticulture before the vineyard was planted in 1998. Both have been keen horse riders competing at club level in dressage and cross country eventing. During the extension of the vineyard in 1999, Tony fell from his horse while competing cross-country, with the result that for some years he was confined to a wheelchair. Eventually he replaced the wheelchair for a ride on mower, and was back out in the vineyard. It is a credit to his willpower and unswerving belief in the reputation of Braydun Hill to produce superb quality Shiraz that he is now able to walk again unaided. For some years since his accident, Carol has been closely involved with Riding for the Disabled and other disability organisations. She is now focussing on the marketing side of Braydun Hill. The Braydun Hill team includes Rebecca Kennedy, winner of many winemaker awards, including WineState Magazine for the top Australian Shiraz. She has also been recognised for her contribution to the South Australian economy, including runner up in Enterprising Women’s Young Achiever of the Year. 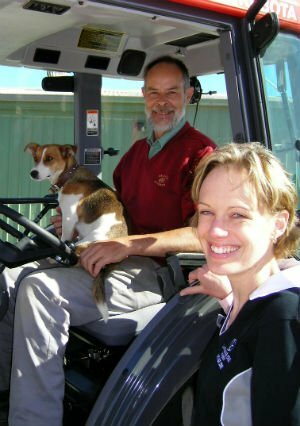 Rebecca made the first Braydun Hill vintage in 2001, and since then has continued to be an active member of the team producing multi award winning Braydun Hill Shiraz wines vintage after vintage.